RMS-05 Silver Metallic Ribbon Spool 3/16in. x 250yds. RMS-15 Gold Metallic Ribbon Spool 3/16in. x 250yds. RMS-20 Red Metallic Ribbon Spool 3/16in. x 250yds. 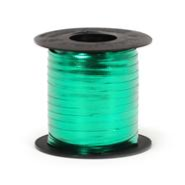 RMS-50 Green Metallic Ribbon Spool 3/16in. x 100yds.